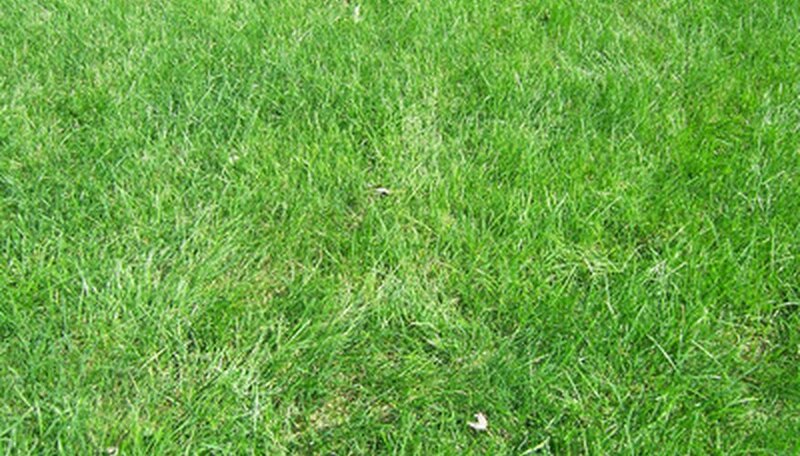 According to the website American-Lawns, Tennessee is a transition state between parts of the country where cool grass is predominantly grown and places where warm grass thrives. Tennessee falls between the USDA hardiness zones 6 and 7. The state experiences a long warm season in which temperatures may reach 100 degrees Fahrenheit and short, mild winters with rare nighttime lows down to minus-10 degrees. During long, hot Tennessee summers, cold-weather grasses weaken and may die. The solution is to plant a warm-weather grass like Bermuda grass. Test your soil several months in advance before laying Bermuda sod. Use a pH test kit, or, for a more thorough test, send a sample of your soil to the University of Tennessee for soil testing. Apply soil amendments based on the results of your soil test. According to the University of Tennessee, most Tennessee soil is predominantly clay, with low pH. Raise the pH of your soil by adding powdered limestone to the soil, or lower it by adding powdered sulfur. To improve the drainage in clay soil, add gypsum and sand. Finally, to increase the nutrient content of soil, add organic amendments such as a nitrogen-heavy fertilizer (3-1-2), manure and compost. Break up your soil to a depth of 6 inches by passing a rototiller over the surface of the soil. Spread your amendments over the soil and mix them into the soil by passing the rototiller over the soil again. Water the soil and wait several weeks for the amendments to mix with the soil and change the structure. Till the soil with the rototiller in two directions. Flatten and regrade the soil with a rake. Remove any rocks, sticks or roots you encounter. Lay sod on the lawn. Start at a straight edge such as a sidewalk or road boundary and work outward. Stagger each row so that there are no straight seams along the sod. Cut each piece of sod so that it fits perfectly over the ground. Make each cut perpendicular to the sod piece, never at an angle. Roll over the sod with a roller to force the roots into contact with the soil. Water the sod three to four times daily for short intervals for 10 to 14 days while roots become established. The gradually taper your watering schedule to 1 inch of water every seven days. Texas A&M University Extension: Bermuda Grass, "The Sports Turf of the South"